Hospital infections 4th deadliest killer of people! Hi! 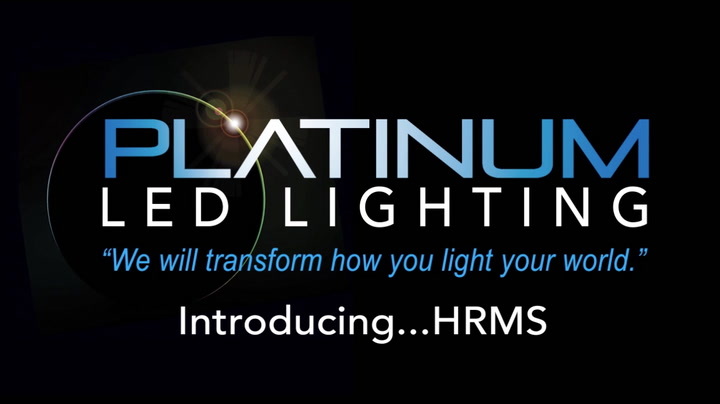 My name is Earl Fitzsimmons, CEO and founder of Platinum LED Lighting. I'm here today to talk to you about a new and revolutionary lighting fixture that actually deals with one of the greatest health care concerns in our health care facilities today. Imagine this, you, one of your loved ones goes into a hospital for something simple, a cut, a car accident, maybeT some minor surgery. You think everything is okay. Hospital-acquired infections are the number four killer that's more than car accidents, that's more than breast cancer, more than AIDS, all of those things that we worry about every day do not compare to the combined risk of a hospital-acquired risk infection. Each facility based on the numbers that I've been told spends about $40,000 to mitigate a hospital-acquired infection. The HRMS with its entry-level price just a little bit below $3,000 covers about a 10x10, 10x15 area and is 99% effective in eliminating all airborne pathogens. The HRMS is installed and fits into an existing fixture space, your typical 2x4 lighting fixture. And above the lighting unit is a UV chamber. What the HRMS does is it circulates the air throughout the room depending on the size of the room up to 10 times an hour. It pulls the air above through the filter into a revolutionary, patented design UV chamber exposing it to the UV light and eliminating the ability of the airborne pathogens to reproduce basically rendering it inert. The HRMS is going to revolutionize infection disease control in your hospital facility, nursing home, extended care facility, high school, college, professional sports locker rooms where staff is running rampant. Any place where these airborne pathogens exist, we can take a serious bite out of your infections disease control problem. My team (at Platinum LED Lighting) and I are looking forward to working with you to implementing the HRMS Infectious Disease Control Unit in your facility. Platinum LED Lighting, we will transform how you light your world. Learn more about the HRMS Infectious Disease Control Unit. Read about the break-through testing conducted by Baylor Medical Center at Uptown implemented by Platinum LED Lighting, Inc.